In October (2018) Google announced the ‘consumer’ version of Google Plus (G+) would be closing in August 2019. ‘Consumer version’ is the one used by individual, non-business, users i.e. generally the private individual. However, the closure date has now been brought forward. Most G+ users should have seen the latest notification (contained in yellow bar displayed at top of page when they sign-in). If users wish to save their G+ data they need to move fast. What action they can take to save data. There is a lot there that takes a little wading through, both for the individual as well as the business user. Therefore, to accord with the primary principles for this website of assisting authors (especially independent ones) and the private general reader, the elements which are most relevant to them are drawn out in the following. Note: For the sake of all and especially not to totally ignore Enterprise (Business) users, a link to the main notification, from where the full range of information may be accessed, is provided at the end of this article. G+ was intended to be Google’s answer to Facebook. However, it has not been taken up as enthusiastically as they hoped. Low usage and a sense of it not meeting consumer’s expectations have been sited as one reason for closure. A bug, in a software update, impacted approximately fifty two and a half million users. Thankfully, investigations ultimately concluded, if an application had requested permission to view, the only information that could have been vulnerable were: users names; e-mail addresses; occupation; age; etc. Financial date; national identification numbers; passwords; or similar which are usually used for fraud and identity theft would not have been accessible. Though not stated outright, it seems clear Google no longer wish to invest resources etc. into maintaining a site they do not consider has much potential or use within their overall ethos. Comments to that effect, by observers and analysts, have appeared here and there. It is also clear future focus will be more upon business users. It should be noted G+ is not the only application being done away with e.g. the excellent and useful Google URL Shortener facility is also being closed (30 March 2019). To put it at its simplest: With effect from Tuesday 2 April 2019 ‘consumer’ (individual) users will no longer have access to their G+ accounts. Note: Users should not panic. This change (closure) will generally not effect their other Google accounts, including Gmail, except for where the G+ sign-in is used. However, for the majority that will not be an issue as most utilise their overall Google account sign-in credentials (e.g. Gmail sign-in). The help and guidance notes provided by Google contain, in a couple of places, details of how to save information by means of a download. Nevertheless, though, with a little concentration, these may be followed it is thought readers of this article may appreciate a more simplified resume of the process. Note: Users MUST take action BEFORE APRIL 2019, if they wish to retain all or any of the data from their G+ account. IT WILL NOT BE ACCESSIBLE THEREAFTER! Sign out. How long it takes to create the archive depends upon how many ‘products’ the user has selected and upon how much data is included in each. In most cases the archive is ready within a day. Note: Because this article relates to the closure of G+, only those applications (products) have been mentioned above. However, there is nothing to prevent users from opting to also download data for their other applications. Move archive to where it is to be retained. Recommended not to leave in downloads folder because could be easily deleted by mistake. The e-mail archive link is only accessible for seven (7) days. If it not downloaded in that period the user will have to go through the whole process again. Each archive may only be downloaded five (5) times. After that the user has to request another archive i.e. has to go through the whole process again. If request and download not actioned before April, data will be lost to user forever! Naturally, there is no obligation upon users to download any of their G+ data if they do not want it. They may have no use for it or may consider the data available in their other social media accounts is sufficient for their purposes. The choice is theirs provided they understand their G+ data will no longer be available after April 2019. Maintaining contact with followers: Google’s sensible suggestion, is for users to create a post in which they provide their followers with other avenues of contact by listing links (urls) to their website, blog, social media accounts, etc. Photographs and videos: Unless these have been backed up in Google Photos, which the majority of individual users probably have not done, these will be deleted. However, most will more-than-likely have these stored in their own computers. Communities: Only the owners and moderators of a community will be able to download data. Suggested, if a user really has a need for such data, they should approach the owner or a moderator to see if the information can be forwarded. Groups: Only Group owners have the facility to download data. If a user requires the information they should ask the owner to share it with them. Monday 4 February 2019 – Facility removed from Blogger (Google’s blogging service). Thursday 7 March 2019 – Facility removed from all other sites. Tuesday 2 April 2019 – All G+ comments, on all sites, will be deleted. Business users: Enterprise (Google’s business service) and G Suite (integrated series of applications for business) will continue to have access to their G+ accounts. In fact, Google have stated they ‘continue to invest in Google+ for enterprise’. Google like many other applications and facilities is clearly changing for the individual, private user. Though it may feel annoying, it is also only fair to recognise Google is a business and consequently needs to consider best practice for its future. It still provides many free options and facilities. It is unfortunate the closure date for Google Plus has been brought forward so dramatically. Most users will no doubt have been preparing for an August closure but will now need to quickly take on board the earlier date (2 April 2019) and speedily take appropriate action. The information above, gleaned from Google’s own communications, is intended to try and help the individual user quickly assess what they need to do and to do it. It is hoped they find the material clear and helpful. Apologies are extended to readers for the length of this article but it was thought best, if the article was to achieve its aim, a step by step guide be provided. As mentioned earlier, for the assistance of all G+ users, including business users, here is the link to Google’s Closure Notification and Guidance. GOOGLE PLUS (G+) IS CLOSING TUESDAY 2 APRIL 2019 AND USERS MUST TAKE ACTION BEFORE THEN IF THEY WISH TO RETAIN ANY OF THEIR G+ DATA! 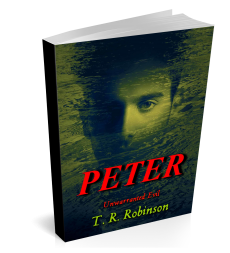 Disclaimer: Beside being users of Google’s services, neither T. R. Robinson Publications nor T. R. Robinson have any affiliation with or to Google. Nor do either receive any remuneration for referring to or mentioning them or their subsidiaries.